You can now print a refund check for your Client AR Credits! This applies to credit memos, client deposits, etc...any type of AR credit. Processing a Client Refund Check is very similar to processing a Quick Check. 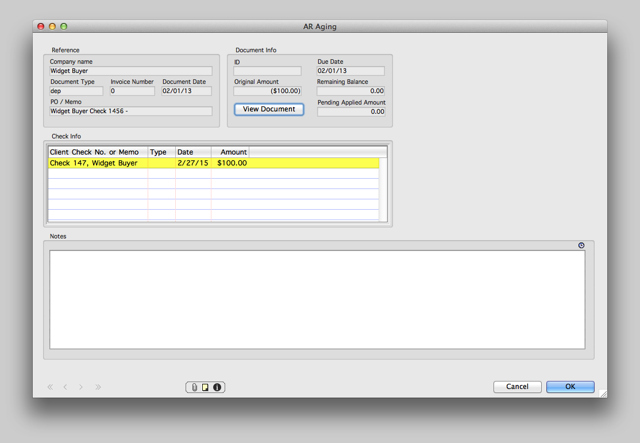 To begin, go to Accounts Payable ➤ Check Register and click the Create New Record icon (or press cmd + N). Check the box for Client Check (this must be the first step). Enter the Client Name in the Party field and press the tab key. If there are more than one AR Credit or Deposit for the Client, you will be presented with a list to choose from. This list will contain all currently open AR Credits and Deposits for the previously chosen Client. Highlight the AR Credit you wish to refund. 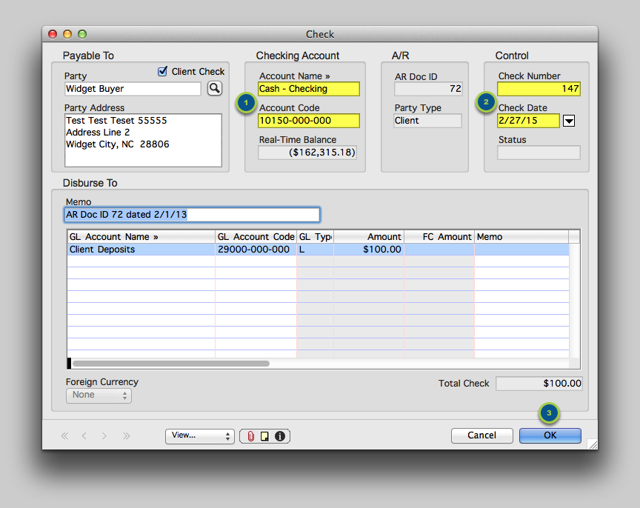 You can see that now the check is populated with a line item. The GL account used on this line item will be the account that was originally charged (this would be either Client Deposits or Accounts Receivable). The amount will equal the amount of the credit. The Memo field will also be populated with the AR Document ID and the original date of the AR Document (this would be either the date of the original deposit or the date of the credit memo). Verify the Check Number and Check Date. 4. The check still needs to be printed. 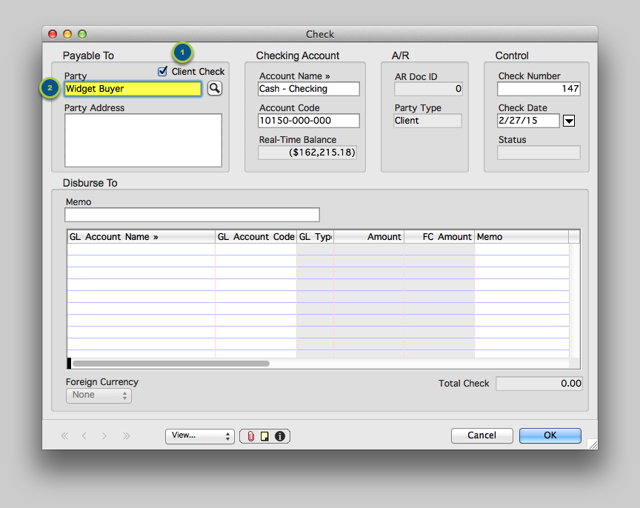 After you save the check you can see it in the list view. At this point it still needs to be printed. Zoom: The check still needs to be printed. Go to Accounts Payable ➤ Make Payments (Accounts Payable ➤ Print Checks in AV 2015 and earlier) to print the refund check. Select the button for Quick Check as the Disbursement Type. You will see the refund check on the right hand side. 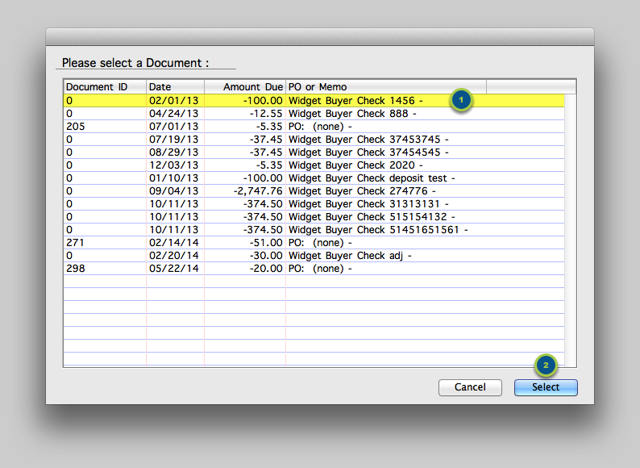 Click that line item to place an X in the marked to pay column. Click Print to print the check. Insert your check stock with the appropriate check number into your printer. 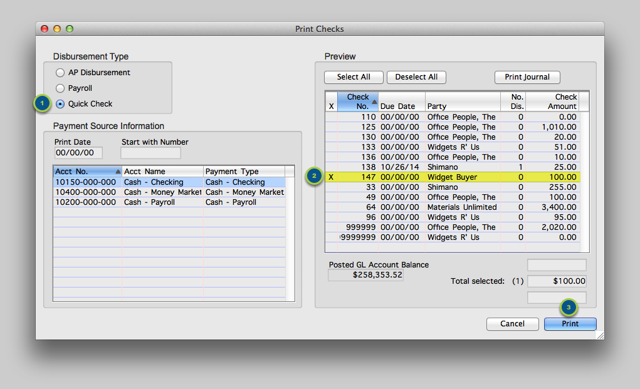 Follow the prompts to print the check. 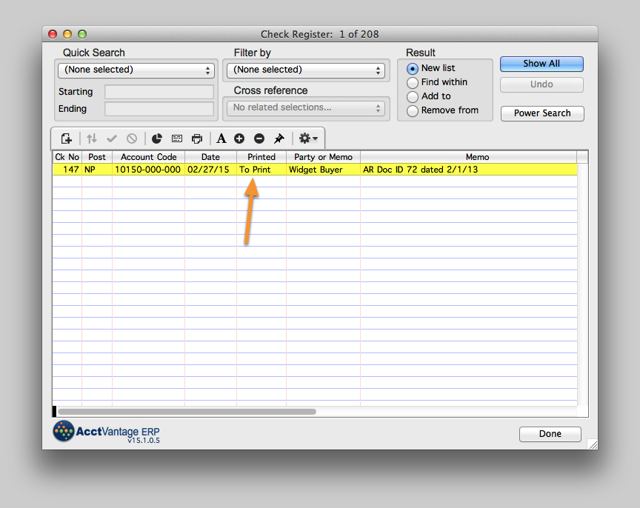 If you return to the Check Register list view and refresh the screen, you can now verify the check has been printed. There is still one last step, however. You still need to post the check, so either use the Action Menu ➤ Post Selected Records or go to General Ledger ➤ Post Transactions in order to post the check. ...go to Accounts Receivable ➤ View AR Aging. Open up the original AR Document and you can see that it is now closed with a reference to the refund check you just printed. 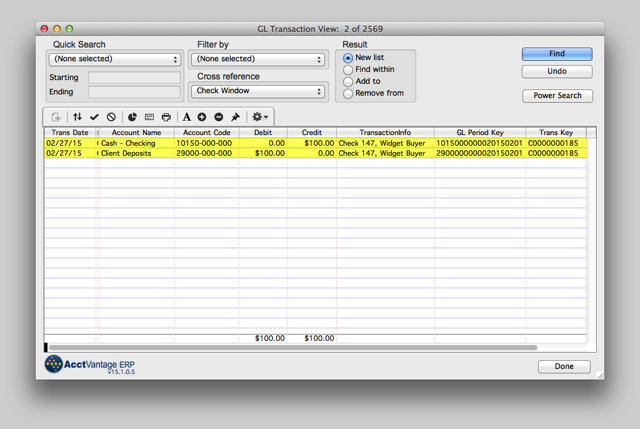 ...go to General Ledger ➤ GL Transaction View. Cross-reference to the Check Register and you can see the GL Transactions that occur as a result of issuing and posting the refund check.